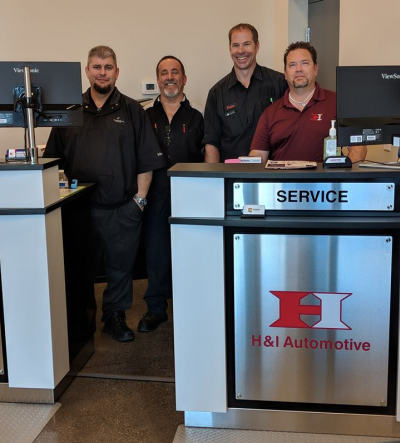 H & I Automotive provides a broad range of services including tires, alignment, oil changes, tune-ups, preventative maintenance, vehicle repair, and an extensive line of detailing services. Their technicians are honest and thorough, and will never suggest a repair that you don’t need. They use advanced computer diagnostics to help determine your vehicle’s exact needs so that they can get you back on the road with minimal downtime. They're so confident in their work that they include a nationwide 36-month/36,000 mile and an in-house 60-month/60,000 mile parts and labor warranty on all work completed. H & I Automotive was established in 2009 by Spencer Doucet. He started the company with the ultimate goal of giving his customers quality automotive services at a great value. 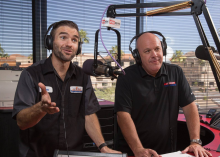 Spencer has been a technician for nearly 20 years and is factory trained for Nissan, Infiniti, Toyota, Lexus, Mazda, and is one of only a handful of General Motors World Class Technicians in Gilbert, AZ. The name H & I stands for Honesty and Integrity, which not only describes how he conducts his business, but his lifestyle too. They use the latest in computer diagnostic technology to ensure your vehicle’s issue is correctly identified. Knowing what to fix is just as important as performing a proper repair, and they will thoroughly inspect your car, truck, or SUV to make sure you get back on the road as soon as possible.